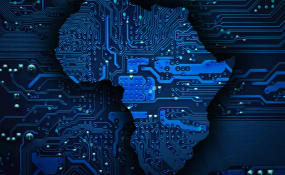 A key finding of the report was the emergence of Nigeria as Africa’s startup funding hub, after years of playing second fiddle to South Africa. With 58 startups raising a total of US$94,912,000 in investment, the country was clearly top dog; while South Africa fell behind with 40 businesses raising US$59,971,000. Kenya ranked third in terms of the number of startups that raised funding. an tech space continues on its upward trajectory, with more startups than ever before securing record levels of funding in 2018. Investment levels are not the only way of gauging the health of local ecosystems, but they are a valuable way of following the sector’s progress and demonstrate that, increasingly, if you have an innovative tech solution to a problem, with a strong business model, there are pathways to funding should you require it to scale,” said Tom Jackson, co-founder of Disrupt Africa.